Archbishop Naumann - Praise for "Navigating the Interior Life"
Just as serious athletes would be foolish for not seeking coaches and trainers to help them learn from the experience of others how best to develop their natural skills, so for the Christian pursuing holiness it is foolhardy not to seek the counsel and direction of wise mentors in the spiritual life. 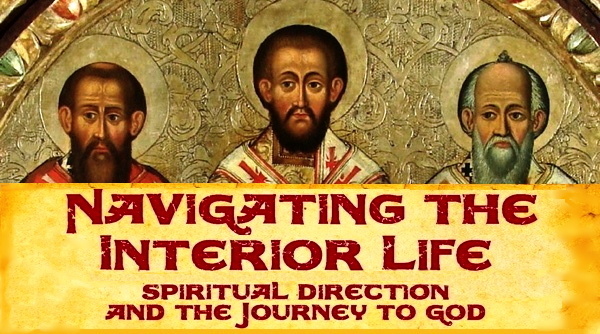 Dan Burke’s Navigating the Interior Life – Spiritual Direction and the Journey to God, is an immensely practical book to help a serious Catholic take advantage of the wealth of experience and knowledge of those who have trod the path to sanctity for the past 2,000 years. Just as well-intentioned athletes can waste time, injure themselves, and hurt their team by embarking on an ill-conceived training program, so Christian history is strewn with examples of well-meaning individuals who went astray harming themselves and others by following a misguided, imbalanced and imprudent spiritual path. Unfortunately, complicating the matter even more not everyone, who claims the mantle of a spiritual director, is actually competent to lead others to holiness. Dan Burke gives very practical advice not only on how to find a good spiritual director, but also how best to access the wealth of resources in our Catholic tradition that can assist in developing our friendship with Jesus and growing in virtue. To learn more about Navigating the Interior Life – Spiritual Direction and the Journey to God, click here. PrevPreviousMust I be of Special Status to Receive the Gift of Contemplation?